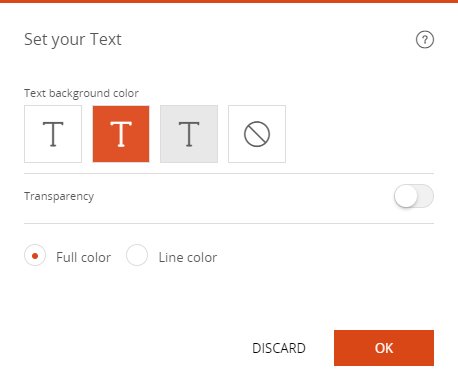 In addition to the formatting options in the text editor, there are other options for formatting your text. These options can be accessed by clicking on the settings icon at the top left of the text block. By clicking on the parameters of the text block, a popup appears. Transparency allows this background to be displayed with a certain transparency which is handy when placing text over a background image. The outline allows you to frame a text block according to the chosen color.